One of the purposes of the choice of “Be Heard” as the theme of the Binghamton Women’s March was to listen to perspectives that have often been silenced. One of the most powerful speeches was about sexual assault. With the #MeToo and #TimesUp movements in the news, I have also been having some discussions about consent and assault/harassment with my daughters, who are in their late twenties and early thirties. The Women’s March speaker who was a survivor of sexual assault said something that really articulated the issue of consent for me, something along the lines of she is not sure if she said no, but she was very sure she did not say yes. She did not give consent. Her words crystallized something for me so that I understood better what my daughters and other younger women have been saying. As a woman in her later fifties, I wasn’t really brought up with discussion about consent. We were trained to be vigilant about making sure no one drugged our drinks at a party and about staying away from dark or isolated places, but not about what to do if a date or acquaintance pressured or overpowered or coerced us into unwanted sexual behavior. I understood over time that it was never about what women wore or if they had been drinking or if they knew their attacker. Women who are assaulted are not at fault for their assault. No means no. The questions are placing blame on the victim rather than on the perpetrator. All forms of abuse and harassment are abuses of power. Sexual abuse and harassment are no different. Consent needs to mutual, ongoing, and enthusiastic from all participants. Anything less makes what should be a caring and loving encounter into an abuse of power. I have mentioned before that I am putting together a chapbook for the QuillsEdge Press contest for women poets over fifty. When the contest information was sent to me by one of the thoughtful male members of Grapevine Group, I already had a small group of poems written that related to this year’s theme, “In Transition.” Over the last couple of months, I have been writing and revising more poems to fill in gaps and to have enough poems to meet the page count requirement. I have mentioned several times that I have been working assiduously on one poem in particular. After workshopping it with three different groups of poets, trying it out at a couple of readings, and revising again at the recommendation of a trusted poet-friend, I have now decided to use it as the final poem of the chapbook. Poets are advised to end with a strong poem and I am hoping that this at-least-for-now final version will fill the bill. I had been playing with the order of the poems as I continued to add new ones and today, with all the poems finally available, I did another round of changes. When I finished the re-shuffle on the computer, I printed out a copy so that I can hold it in my hands and read it through as if it were a real publication. I am trying to restrain myself from begging for readers to give me more advice. Though the deadline isn’t until January first, I really would like to submit next week. December is such a busy month that I would like to have it sent off and out of my head so I can move on to the rest of my to-do list. I also realize that all my poet-friends are similarly busy this time of year and don’t want to bug them more than I already have. I am also trying to see this as a self-trust exercise. Given my lack of formal training, it’s easy for me to doubt my technical ability as a poet. People write books about how to order poems – and I haven’t read any of them, even though I do own one of them. For now, my plan is to read the chapbook aloud several times over several days, tweak anything that bothers me, and send it off through Submittable sometime next week. Last night, Sappho’s Circle, a women’s poetry workshop convened by Heather Dorn, hosted a poetry reading at the Bundy Museum. The Bundy is our home and we decided to do the reading during Women’s History Month, as part of their current emphasis on women’s issues, particularly suffrage. We chose to each read a poem from a woman poet whom we admire, followed by a poem or two of our own. I chose to read “The Bleeding-heart” by Mary Oliver. I admire her talent for melding nature imagery with insights into the human condition. I paired it with my poem “Discovery” which is thematically related – by springtime, by heirloom flowers, and by family connections. After Sappho’s Circle members had read, we opened the floor. We were thrilled to have several poets share work with us. I was especially happy that three of the Grapevine Group, formerly the Bunn Hill Poets, read. There is significant overlap between Grapevine, which meets a couple of times a month to workshop our poems, and Sappho’s Circle, so it was nice to have support from our poet-friends and give them an opportunity to join in the fun. And it was tremendously fun! And the poems were amazing! Several of the participants are great performers and I admired their skill in engaging us with their movement, pacing, pitch, and tone. Many of the poets also used the opportunity to present some of their edgier work, using language that I, small-town-New-England bred, good-little-Catholic-girl, would never be able to pull off. I am honored to have been a part of the reading. I can barely believe that I get to be among so many helpful, talented poets on a regular basis. I am especially indebted to Heather, who, when she was assistant director of the Binghamton Poetry Project, connected me to what is now the Grapevine critique group, and who started Sappho’s Circle to foster women poets who want to publish their work. I am a lucky poet! We are a few days into the season of Lent, traditionally a time of increased prayer, fasting, and almsgiving for Christians. I like to also do some additional spiritual reading and I am loving the reflections on stories about women in the Bible that my friend Rev. Pat Raube is sharing this year through her blog, A Swimmer in the Fount. I admit that I am feeling discouraged this year, though. Trying to live a life of charity and advocating for social justice has become even more difficult here in the United States, with many threats to human dignity and to our environment. No matter how hard I try, I can’t protect people from difficulties or make things better for them. At church this morning, I was looking toward the altar when something caught my eye. Instead of decorating with fresh flowers and plants, during Lent many churches feature bare branches, and our church has two fairly large trees on either side of the altar. I noticed that, high in the tree on the right side, the tip of a branch had broken and was hanging down, held by some bark or wood fibers. I feel like that bit of broken branch, hanging down, bare, and useless. Still, it is in a place where it is protected from wind, so it won’t be disconnected entirely from the tree. Maybe enough connection remains that, when the sap rises, there can be some healing or some new growth from the brokenness. Today, though, it does not feel that way. Women march around the world! Yesterday, T and I joined with over 3,000 other women, men, and children in a Women’s March in Binghamton, New York, held in solidarity with the Women’s March in Washington, DC. An idea to march in defense of women’s rights the day after the inauguration grew into a worldwide phenomenon with sister marches and rallies held around the country and on every continent, including Antarctica! The marches were peaceful and stood for the rights of women and of all other groups who have been attacked for their religion, race, ethnicity, immigration status, gender, beliefs, education level, or sexual orientation. Our march was relatively short, beginning at the Martin Luther King, Jr. statue at the Peacemaker’s Stage along the Chenango River and proceeding a few blocks down Court Street to the lawn of the 1897 Courthouse, where we held our rally. Our permit was for sidewalk march only, but the police helpfully stopped the traffic so we could stream through the crosswalks. We had a full slate of speakers that included elected officials, representatives of local chapters of organizations such as the NAACP and Citizen Action, health care advocates, and members of diverse faith communities, with poetry and music interspersed among the speeches. There were calls for respect for women’s rights, reproductive rights, religious freedom, access to quality, affordable health care for all, indigenous rights, Equal rights for the LGBTQ community, and more. The speakers and the crowds around the world made me hopeful, especially after the darkness of the inaugural address. Our rally also echoed the universal theme to get and stay involved. That is the real source of hope. The marches were not a one-day phenomenon. We are all heading back to our hometowns to continuing to advocate for civil rights. 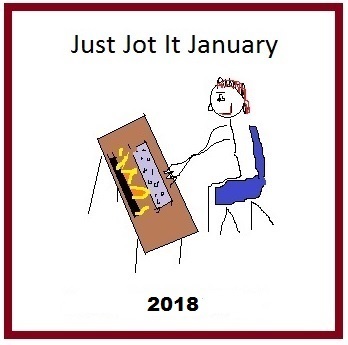 Author Joanne CoreyPosted on January 22, 2017 January 22, 2017 Categories blogging, current events, government, Just Jot It January, medical careTags #WomensMarch, Binghamton, civil rights, human rights, JusJoJan, March, solidarity, United States, Washington DC, women6 Comments on Women march around the world! Abby now teaches in the Seattle, Washington area and plans to participate in the Women’s March there on Saturday. She wrote this poem for and about her young daughter. Bonus: If you follow the link, there is an audio of Abby reading the poem, as well as the poem itself and a note about it from Abby.